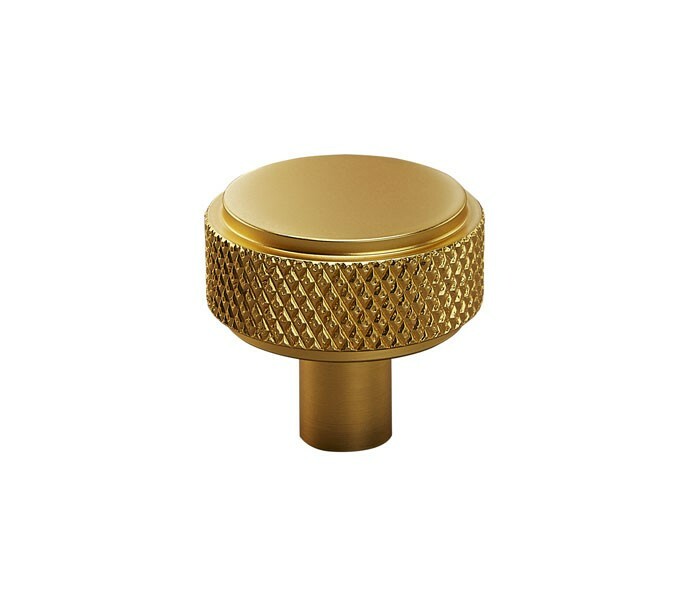 Our knurled drawer knobs are a perfect option for your home. They are suited to both kitchen cupboards as well as drawers, wardrobes and storage systems around the house. The brass drawer knobs are the perfect blend of a classic finish with a modernistic textured surface meaning they look fantastic in properties with both contemporary and traditional aspects. 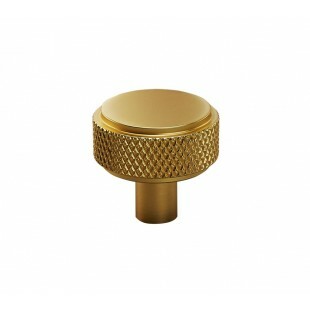 These knurled drawer knobs are supplied singly. Each knob is supplied with a bolt fixing to enable a hassle-free fitting process. They measure 30mm in diameter and have a projection of 28mm, a small but impactful piece of hardware that is sure to provide a lovely finishing touch to your furniture.